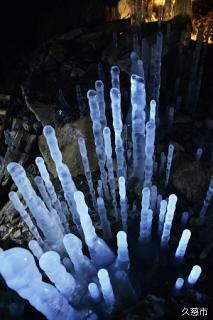 Mysterious stalactite cave "interval tree sinus" in Yamagata-cho. Of these, it is event that interval tree sinus can see made French jewel "ice bamboo shoot". Local gourmets such as tofu dengaku yamamebu juice served in venue are popular.